GREAT PERFORMANCE AND RELIABLE SYSTEM. WORKS AS NEW FROM MAXIMUM COMPUTERS. ONE OF THE CHEAPEST IN U.K. – SAVE HUNDREDS OF POUNDS IN HARDWARE AND SOFTWARE. FREE SHIPPING WITHIN U.K. MAINLAND. Windows 10 is Microsoft’s latest, most powerful and effective operating system to date! 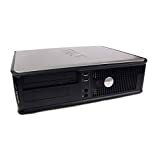 Superb Performance & Reliable Dell Core 2 Duo (64 Bit) Desktop PC. Core 2 Duo processors are like having 2 processors running at the same time! 19″ refurbished TFT LCD Flat Screen Monitor included (monitor brand may vary, dependable on stock). NEW Keyboard and Mouse included Free of Charge (brand may vary, dependable on stock). Massive 160GB of Hard Drive space. (Store 40,000 Audio files / 50,000 Digital Pictures / 200 hours Digital Videos)!!! Fast 4GB RAM. Run multiple applications without slow-down!!! Ready to plug in and use (no need to install operating system, its all done for you)!!! Save around £250 on hardware and software costs!!! This PC’s hard drive was completely wiped and a new genuine Windows XP Professional with SP3 has been installed and activated. The hard drive has been checked and is error free. The RAM has been checked and is fully functional. There is a Windows XP Professional COA (label with code) attached to the side of the unit. Other programs installed are LibreOffice 5.2 which is just like and as good as Microsoft office. Gimp Editor 2.8 which is like Photoshop. VLC Media Player for playing many types of media files. CDBurnerXP for burning many different types of DVD and CD files. BleachBit which is used to clean the system of those annoying files that slow down your PC and finally Mozilla is also here. This PC has dual screen capability, the graphics card cable is supplied it is DMS-59. The monitor connections are 2 VGA standard type. However you can just use one monitor if you choose to Please Note, No discs are provided with this PC unit, you get only the fully working unit with graphics card cable only. A 3 pin power/kettle lead fitted with a 3 amp fuse will be required. This is an EXCEPTIONAL FAST working PC. Front Connections are as follows: -2 USB -Headphone -Microphone. On the back connections are as follows: -6 USB -Sound out and sound in -Network -DMS 59 -S Video -VGA (not used) -Serial -Parallel. Motherboard Expansion Slots: -PCIE X16 (used up by graphics card) -PCI qty 2. There is an internal speaker. 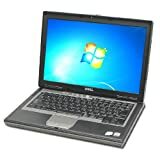 Brand New 8GB USB Stick & Refurbished Dell Latitude D630 – 14.1 Inch Screen – Windows 7 Home Premium Laptop – Core 2 Duo 2.4Ghz CPU – Intel Intergrated Graphics – Wi Fi Enabled – 120Gb Hard Drive – 2Gb Memory – DVD-RW – Antivirus , Online Microsoft Office, Cloud Back Up – Brand New Battery And Power Supply Included!